A strong strench and an eerie silence envelopes Saila Khurd and adjoining villa ges in Punjab’s Garhsha nkar block. Residents say hundreds of people in these villages are suffering from cancer and respiratory diseases. Young people are losing vision and children are developing intellectual disability. All these were unheard of in the region in the past. The residents allege that the pulp and paper mill of Kuantum Papers Ltd, in Saila Khurd, is responsible for their ailments. And for a reason. Kuantum is the only industry in the block and has been there for over 30 years. Parvinder Singh Kittna, a right to information activist who has prepared a database of people suffering from critical illnesses in villages adjacent to the mill, says some 300 people have died due to cancer and another 172 due to respiratory illnesses in Saila Khurd in the past eight years. In neighbouring Raniyala village, which has a popula tion of 750, about 100 are suffering from respiratory diseases, six have lost vision and 14 children are suffering from intellectual disability. In Dansiwal, located two kilometres from the mill, 50 have died of cancer in six years. Kittna claims the prevalence of cancer around the mill is higher than the rate of 90 in 100,000 population in Punjab, which has the dubious distinction of being the cancer capital of India. Jaswinder Singh of Raniyala says people are suffering because the mill has contaminated everything, from groundwater to soil. Explains Mohit Gupta, Saila Khurd: “People beca me aware of the mill’s impact around 2011 when borewells in Saila Khurd started yielding black water.” “We did a little probing and found that the mill operators were pumping effluents from the unit into a borewell in the village,” he says. “We now harvest only one-third of what farmers reap in villages just half a km away. At times, crops remain stunted and do not produce any yield,” says a corn farmer from Raniyala. Though the mill claims that it supplies treated wastewater for irrigation, on several days we wake up to a strange stench from our fields which indicates the water is not safe. Due to fears of contamination, people have stopped consuming their own produce. They instead sell the harvest and buy grains and vegetables from other blocks. People do not even let their cattle graze near the mill, he adds. “The mill has also fouled our air. My brother, in his 20s, recently lost vision in his left eye. Doctors say it is due to prolonged exposure to fly ash,” alleges Bhagat Singh. His neighbour, Liakat Ali, says fly ash spewed by the mill covers most households, roads and even plants. 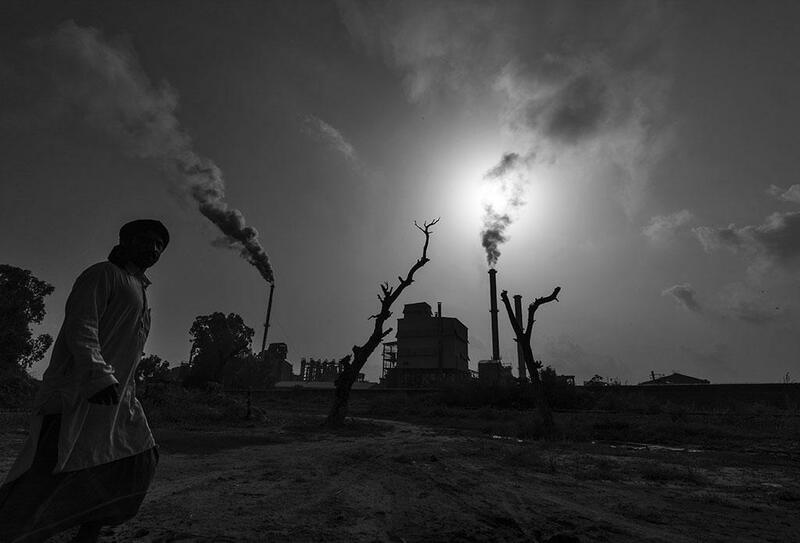 “We sweep the floor three-four times a day but it still remains.” In May, Ali filed a complaint against the mill with the Punjab State Pollution Control Board (PSPCB). “I have been receiving threats ever since,” Ali alleges. Babu Ram, who heads the environm ent department at the mill, says people like Ali “blackmail us for money”. In fact, no one has died of diseases like cancer, cholera, hepatitis and typhoid in the past three years, Ram says. Sur prisingly, his sentiments are echoed by local officials. 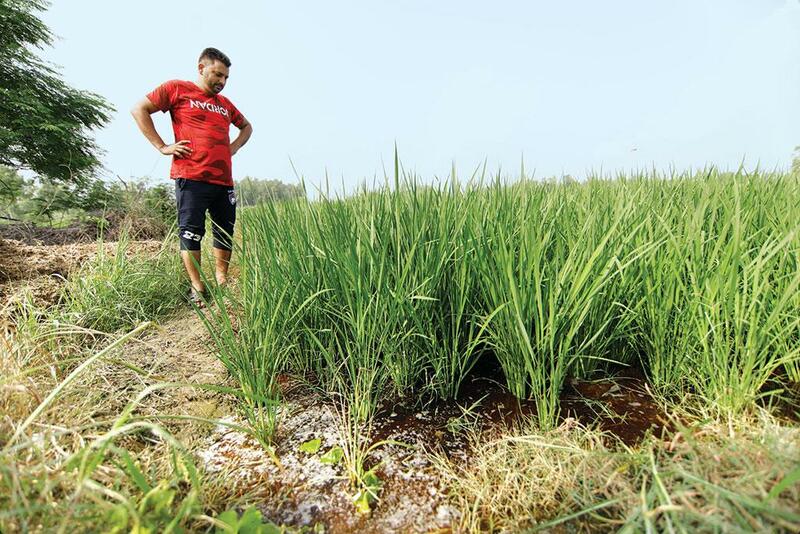 Ashok Garg, environ mental engineer at the regional office of PSPCB, says, “We are looking into the matter but feel the complainants are trying to extort money from the mill owners.” Garg maintains that the mill has always followed the guidelines. So what is the problem? Down To Earth evaluated the track record of the mill. After all, the Central Pollution Control Board classifies paper mills as one of the 17 most polluting industries. They are particularly criticised for the use of controversial chlorine in the bleaching process or whitening the wood pulp to produce brighter paper. Traditionally, the mills used elemental chlorine for bleaching. But the process results in several toxic compounds like organic halides that have carcinogenic effects. In 2015, Delhi-based non-profit Centre for Science and Environment found that Kuantum was using on an average 155.2 kg of elemental chlorine to produce a tonne of paper. The second highest agro-based paper mill was using 100 kg of chlorine. Ram, also a former PSPCB member, says the mill has since shifted to elemental chlorine-free technology that uses chlorine dioxide for bleaching. “This has reduced the level of organic halides in our effluents.” In June, Balbir Singh Seechewala, an environmentalist and PSPCB member, visited the block after receiving a letter from Kittna. “He has asked PSPCB and the people to conduct separate studies. The results will be compared,” says Sukhjeet Singh, an associate of Seechewala. But the residents are clueless about who can help them find the culprits. (This story was first published in the 16-30 September issue of Down To Earth under the headline ''Toxic trail of paper').